It’s hard to remember a time when a Call of Duty game was being heralded as ‘fresh’. In fact, the barrage of titles has been welcomed with less fanfare than a Jedward concert! However, after the series’ resurgence in Call of Duty 4: Modern Warfare, Treyarch took players back to the horrors of World War II with 2008’s World at War. Whilst the story and characters earned the game plenty of favourable reviews, it was mainly the introduction of the walking dead (uh oh! copyright) Nazi zombies, making their debut in the Call of Duty franchise, which was the most favourable, and has since become a series staple. Adding to the already strong multiplayer, Nazi zombies added another layer to local and online co-op gameplay. Call of Duty has always portrayed, pretty well, the bravery and heroism of those who served in major conflicts, especially in their earlier titles, yet the stories and characters lacked individuality. Where World at War stood apart from its contemporaries was in its characters. Granted, the playable character still lacked any dialogue, with the developers attempting to put you in the boots of those that served, but it was the supporting cast that allowed World at War to stand out. Following a series trend, the game featured multiple campaigns with multiple protagonists. One focused around the United States’ Pacific campaign against Japan in the latter stages of the war. The second campaign followed the perspective of two Russian soldiers, as the Red Army stormed through Nazi-controlled Germany, culminating at the Battle of Berlin in 1945. As marine Private Miller, you interact with members of the US Marine Raiders. Immediately, you recognise the rasping tone of Corporal Roebuck. Any television aficionados will instantly recognise the voice of one Kiefer Sutherland, who more recently has been lending his voice to Venom Snake in Metal Gear Solid 5. Sutherland was not the only Hollywood actor to lend his voice to the game. Multiple award-winning actor, Gary Oldman, was brought in to voice the overly patriotic Viktor Reznov, who was the commanding officer of the playable protagonist Dimitri Petrenko. In their review of the game, GameSpot stated that both characters had been “well-acted”. While Sutherland would not feature again in the Call of Duty franchise, Oldman’s standout performance as Reznov saw him reprise the character in the Black Ops series, mainly in Black Ops and Black Ops 2. Only a select number of characters have featured in more than two games in the same series. Your journey with these characters took you through some of the most horrific conflicts of WWII. The opening act saw you land on Makin Island, which was raided by the US marines, before heading into the Battle of Peleliu and finally the Battle of Okinawa. All these settings had never been explored in previous games. It was the surprise success of World at War that spawned the Black Ops sequels. 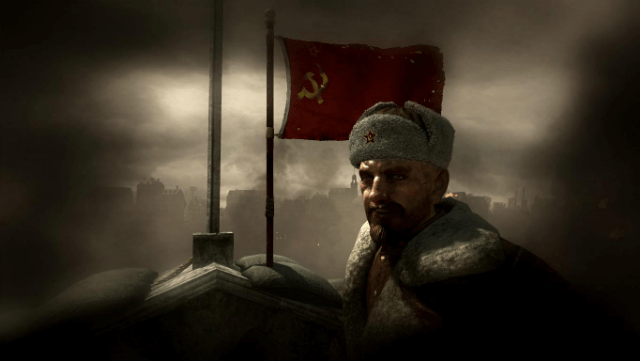 The tale of Reznov led the plot of Black Ops 1 and featured again in the following game. Multiplayer has always been a linchpin of Call of Duty, especially since the Xbox 360 era. Continual modes such as Team Deathmatch, Capture the Flag, and Search and Destroy were all mainly played competitively with only the minimum hint of co-operation. Then on the horizon the shambling undead made a splash in World at War. What would now be tagged as a generic “horde” mode, was heralded as a “fun” mode by IGN and “intense frantic fun” by GameSpot. The four-player co-op was a different take on multiplayer that hadn’t been seen in any Call of Duty game up to that point. Trying to defend a bombed-out airfield bunker added some fun tension and forced players to coordinate a defence strategy. It’s fair to say that a group of reliable and selfless companions was the only way to progress, at all, in this mode. During my time at university, as well as Mario Kart, Nazi zombies became a universal reason to postpone dissertation and essay writing. This had become a bigger team bonding activity than paintball, and it didn’t hurt as much either! In the beginning, in its very primitive state, the survival element was able to sustain hours of fun and then it started to develop. Into Black Ops, not only had the number of modes gone up, it now featured a narrative. And a kooky one at that! A convoluted tale of a Nazi scientist and zombies invading the White House and, also, saving Fidel Castro! One David Hasselhoff cameo later and zombies are now out-living (yeah, I’ll go there) many franchise regulars. For me personally the allure wore off after Black Ops 2, but as seen from the recent Black Ops 4 (yes 4! 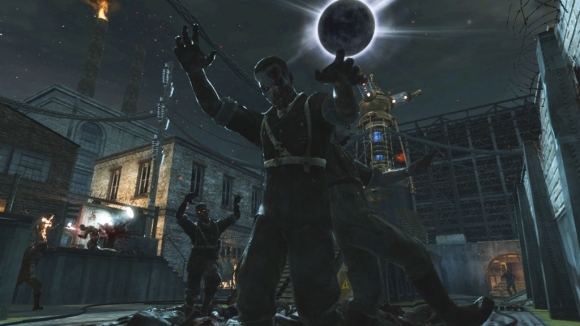 ), zombies’ popularity is still strong in the Call of Duty series. Personally, here’s looking forward to saving Angela Merkel from a zombified, bloated, Donald Trump. Now that will sell copies, won’t it? As already pointed out, celebrity A-listers Gary Oldman and Kiefer Sutherland lent their voices to two of the most prominent characters in the game. And this is where World at War saw a slew of Hollywood actors becoming involved with the Call of Duty name. With Oldman returning in Black Ops, Avatar actor Sam Worthington took the part of Alex Mason – both actors portraying characters who had lasting legacies in the Black Ops series. And in Black Ops 2 the number increased yet again. Michael Rooker, of The Walking Dead and Guardians of the Galaxy fame, and Michael Keaton, who needs no introduction, joined the project. Oh, and Jimmy Kimmel cameoed too! As Call of Duty’s budget sky-rocketed in most recent instalments, also did the calibre of actors. Heralding the arrival of the now current generation of consoles, Call of Duty Advanced Warfare used its main actor as the face of the marketing campaign. Kevin Spacey’s Jonathan Irons was essentially the poster-boy of the whole pre-release material and it was no surprise that he turned out to be the main antagonist. Another pop culture icon, Kit Harington, was the latest to add to the list of talent, as the Game of Thrones star was again cast as the villain. Another trend there, casting the Brit as a baddie. So, as with all successful franchises, the genesis had to set solid foundations. Call of Duty fans will look back at World at War and see why Black Ops is now the phenomenon that it is. Previous articleFull list of RIDE 3 circuits revealed!